You already knew you can come to mental_floss anytime to find a wide variety of general knowledge articles, plus quizzes, humor, and the latest hot topics. Every once in a while though, you want to wander off to explore some parts of the internet that you may not be familiar with. Maybe you’d like to delve into a subject or meme that’s outside your everyday interests. You want to look at some niche blogs! Here are some suggestions for new subjects to follow, or just to distract yourself for a while. Some bloggers limit themselves to the subject of science fiction. Some go even further, and limit themselves to a particular fandom, like Star Trek. Some take it a step further, and deal with one facet of one TV series of a certain fandom. 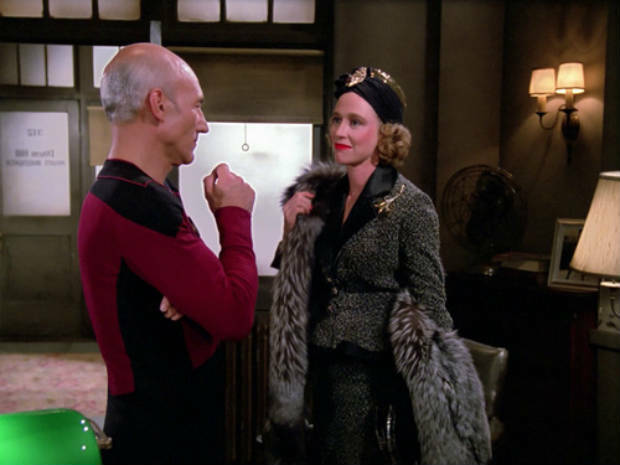 Fashion It So is a blog dedicated to the fashions of the TV show Star Trek: The Next Generation. There are Starfleet uniforms, of course, but the crew often dresses up for special occasions. And the guest stars come in all styles and species. And that makeup! Fashion It So doesn’t miss a trick in decoding the clothing and looks of the erstwhile show. 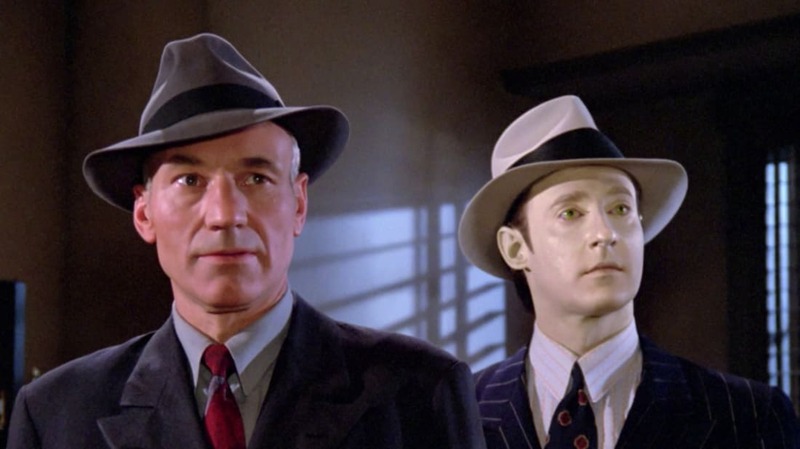 In the episode referencing the photo above, Captain Picard encounters characters right out of a 1940s film noir -on the Holodeck, of course. HyperrealCG is a blog that says it showcases the best of computer-generated images that look so real, you’d swear they are photographs. The thing is, they are real photographs. But a lot of sites fell for the prank. The fact that the images are of mundane things no one in the real world would bother drawing didn’t tip them off, because hyperreality artists sometimes do pictures like that. 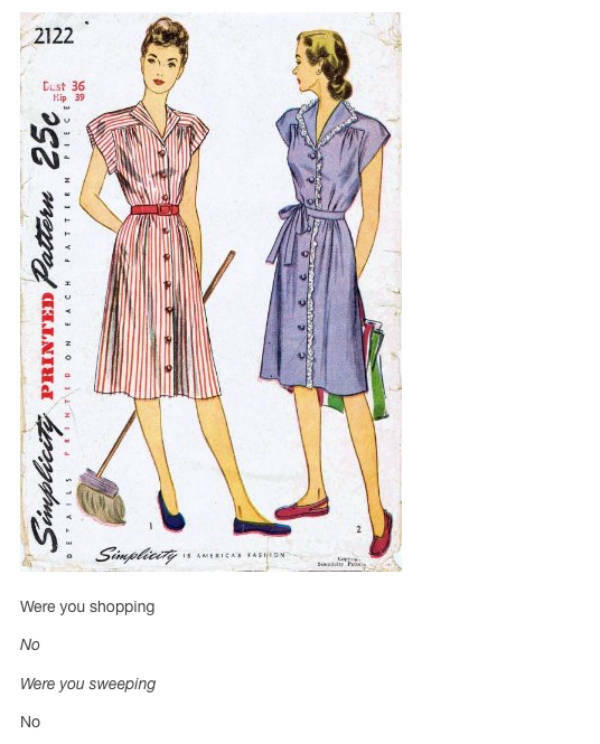 The artwork on the covers of sewing patterns is always supposed to showcase the clothing, not the models. But the models were sometimes drawn in ways that make you wonder what they’re thinking. Wonder no more! 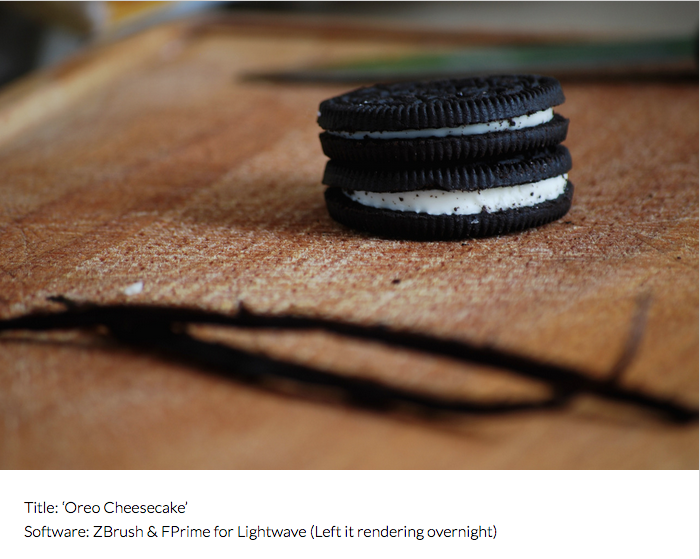 The fairly new blog Pattern Behavior puts dialogue to those images. The captions are humorously odd, but they go perfectly with the humorously odd art. French Sci-Fi Covers appears to have been a big collection uploaded in December of 2013 that became an ongoing project, with more science fiction book covers added on a regular basis. 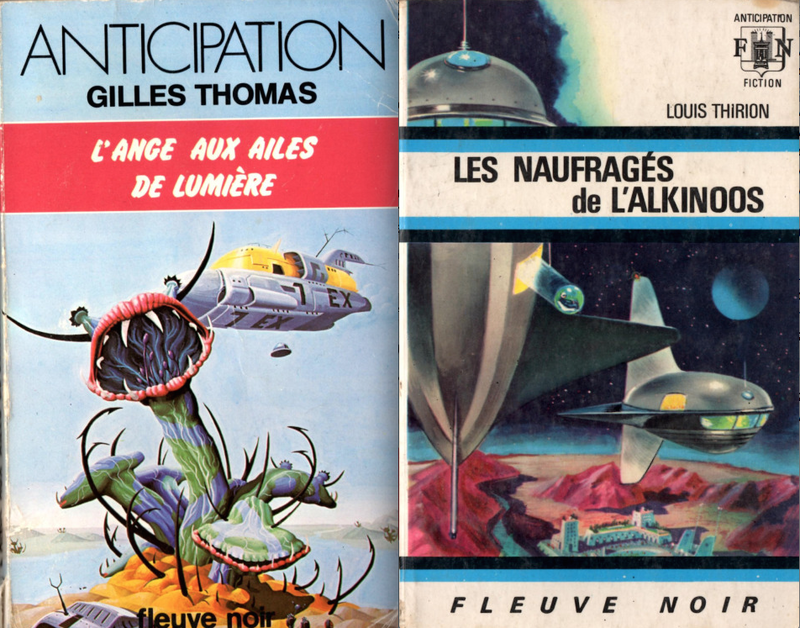 French sci-fi fans may be familiar with the artwork, but non-French readers can have fun trying to parse out the titles and whether they are original French works or translations of something more familiar. Lisa Steele is a fifth-generation chicken farmer in Virginia. 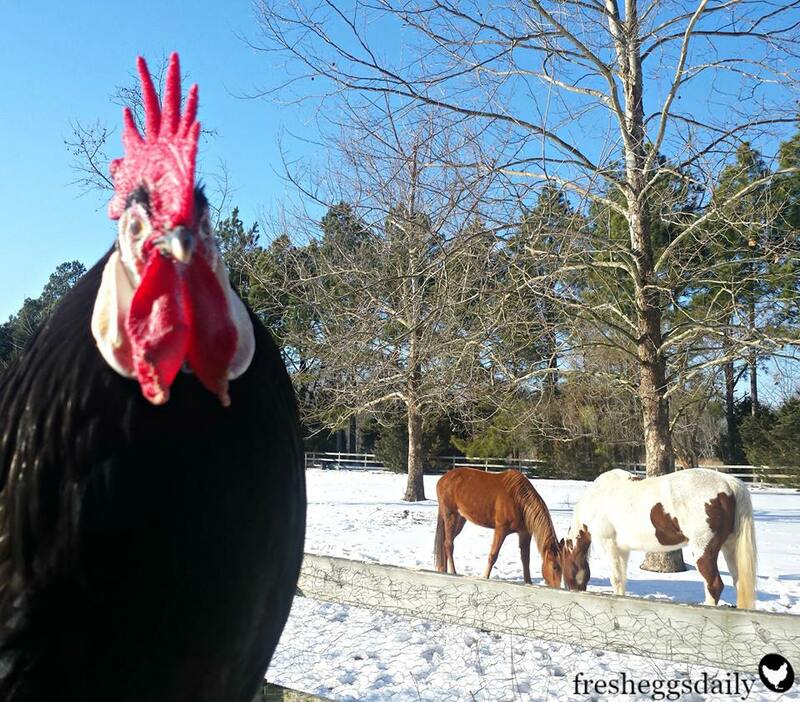 Her stories, recipes, and tips for raising naturally healthy chickens are found on the blog Fresh Eggs Daily. If you’ve ever thought about raising chickens, she has quite a bit of advice. But even if you’ve never considered such a thing, reading through the blog is like a mini-vacation from city or suburban life. It’s a glimpse into a traditional, natural lifestyle that will make you want to crack open some fresh, organic eggs from free-range chickens and enjoy an omelet! The essence of comedy is the incongruous, the discovery of something that doesn’t fit into the world as we know it. The blog H.P. 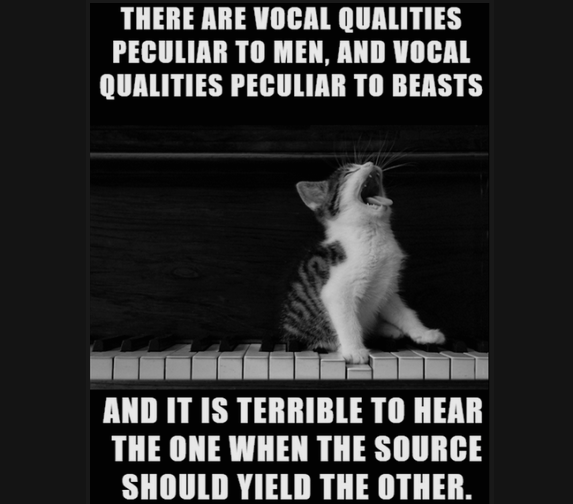 Lovecat marries two of the biggest memes on the internet: cats and the literary horror of H.P. Lovecraft. The inherent incongruity of these two things is so delightfully odd that you have to laugh. Global warming strikes America! Brrrr! Every winter, you hear people talk about the cold temperatures and inevitably someone will say, “So much for global warming.” You might get a chuckle out of the blog If Global Warming Is Real Why Is It Cold. Or it might just make you sad. The forces at work in this misunderstanding are the simple meaning of words vs. the relatively complicated definitions and differences between weather and climate. Or it might just be one’s political mindset. Anything, the blog collects examples of the misunderstandings and/or political rhetoric in the world of climate change discussion. It’s heavy on political cartoons, but there are also Tweets, screenshots, and videos. Like duck-face selfies, what’s come to be known as hot dog legs is an Instagram pose that is so common it has its own blog. Hot Dog Legs has photos from Instagram and other sites in which the photographer shoots their personal view of the surrounding landscape from a camera held close to the face. You can see bare legs stretched out before you resembling hot dogs. In fact, this pose has been recreated using hot dogs a few times -can you tell the difference? Hair is a dead giveaway, but ketchup is not. All over the world, there are folks who live above the ground floor and don’t want to spend all day letting the cat in and out. They build cat ladders (and sometimes cat elevators) to give their pets access to the outdoors, and remove any excuse not to come back inside when it's time. The blog Cat Ladders shows us the many different designs and configurations these constructions take. Some are quite clever, and some are works of art. 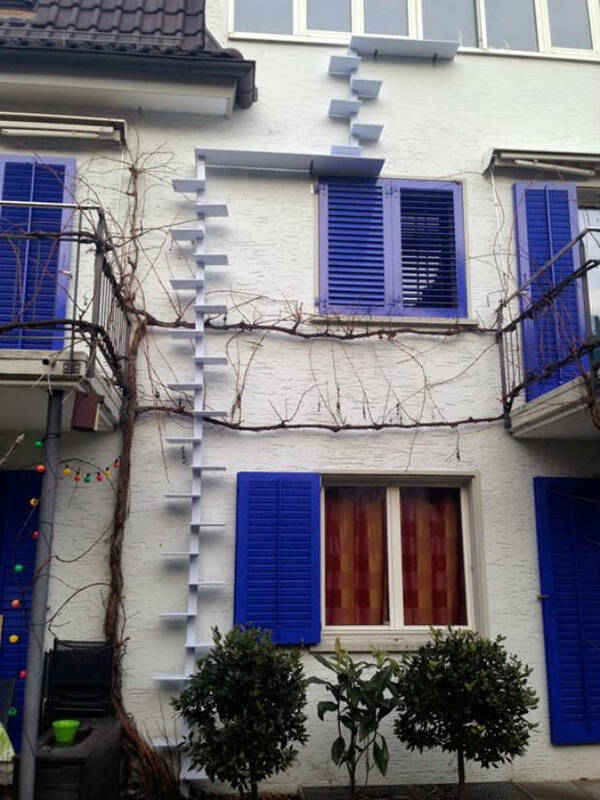 The cat ladder shown here was photographed and submitted by Warngau in Switzerland.